Nothing can change the look of a watch more than the strap or bracelet you use to lash the thing to your arm. From dressy to casual, tough to delicate, and metal to leather to rubber to fabric, your choices are nearly endless. They are perhaps limited only by your taste and sense of what looks good on the watch in question. Caveat emptor – what follows is almost certainly opinion rather than fact. Proceed at your own risk. And let’s do a quick terminology check too. I never liked the term ‘band’ for that thing that holds your watch on your wrist. I like ‘bracelet’ for metal and ‘strap’ for everything else. And no, this won’t be an etiquette guide either. So, for what matches which situations, the situations fall into a few categories. There’s formal, like for the office (for you corporate climbers) and dressy evening occasions. Then there’s casual, like evenings at home, or date night, or weekends. Next, there’s the world of physical work and play, where scuffs, dings, possibly a significant amount of water and dirt, and maybe even skinned elbows and barked knuckles are the order of the day. Finally, there are the seasons. Winter and summer are the two I’m thinking here. No need to dice them out to include spring and fall. If you’re dressing for the boardroom or the opera, I’m thinking strap. Bracelets will work in some instances (the Rolex President and Jubilee bracelets, for example), but really, it’s strap – especially for brands other than Rolex. The options are usually black or brown leather, often crocodile. These might be closed with a buckle, but the upper echelons are the domain of deployant clasps. 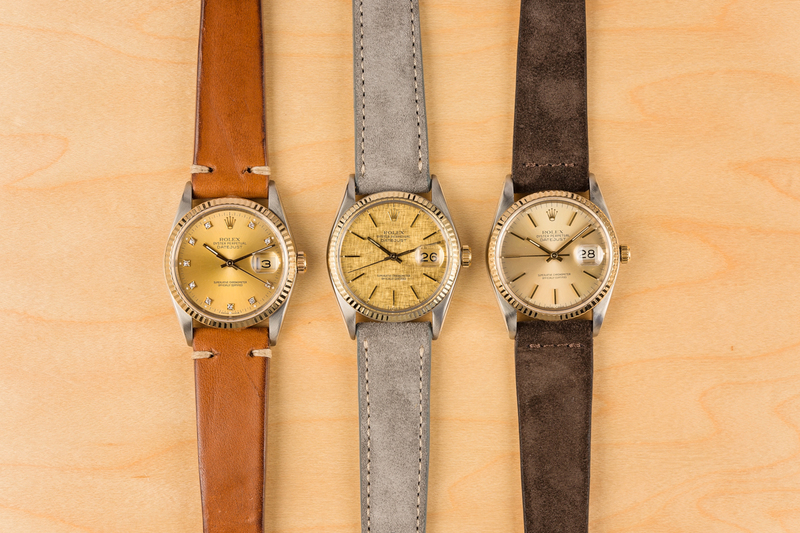 Cartier, Patek Philippe, and Jaeger-LeCoultre have perfected the deployant for dress, with Omega not far behind. 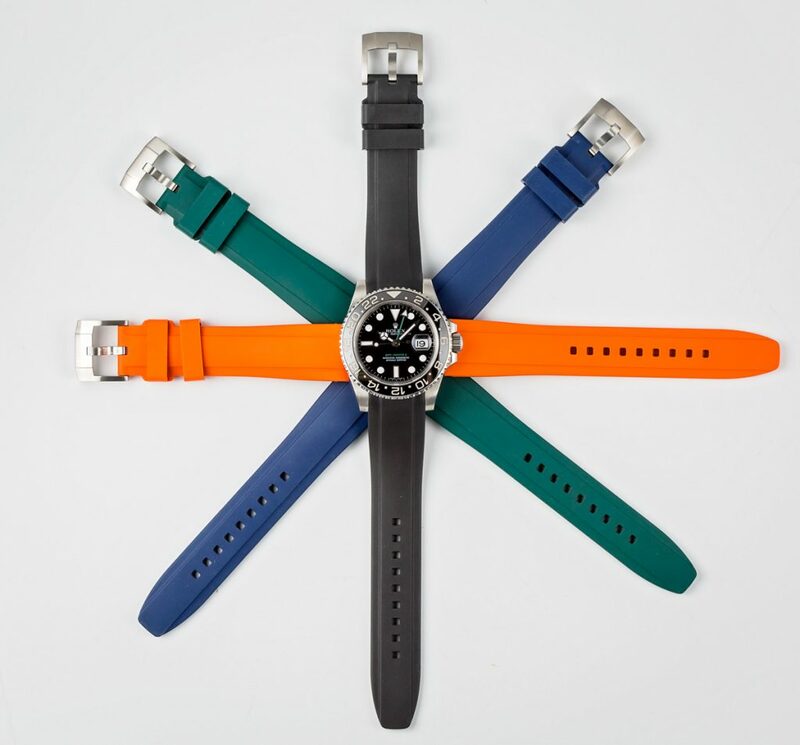 Sport watches tend to come under the casual or working labels. Bracelets will be a popular option, especially for casual, and in situations where moisture – water or sweat – may come into play. For the moisture option, I favor metal, although rubber is popular, especially with divers. For winter vs. summer, most guys go fabric – specifically NATO and Zulu – in the summer, and metal bracelets in the winter. Personally, I think this is backwards (although, because NATOs are about $15 apiece, you can own several and match them to your outfit if you’re so inclined). Metal wards off moisture and dirt much better than fabric does. If you’re wearing your NATOs all summer, along about September you’d better gather them all up, stuff them in a fine washables bag like a nest of snakes, and run them through the long cycle in your washing machine – especially if you’ve spent any time at all sweating while wearing them. For the same reason, I like leather better in the winter, as well. Unless it’s regularly cleaned and conditioned, leather has a fairly short life expectancy, simply due to skin moisture and oils. Said life expectancy will be shorter still if sweat is introduced into the equation. And for that matter, even bracelets worn hard in the summer, when sweat and dirt are more common, will be pretty grimy in the nether regions by season’s end. So take a toothbrush and warm water to them once a season, just to get that crud out of there. 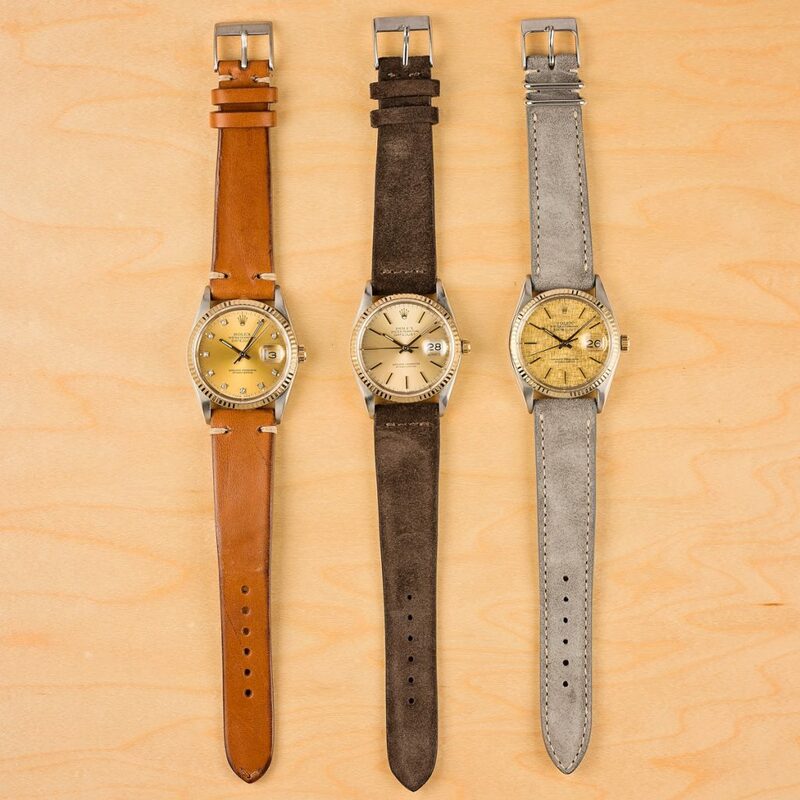 The bottom line is, with all the options out there (including custom leather straps from an ever-growing list of makers), you owe it to yourself to get a spring bar tool and start swapping out your straps and bracelets whenever the whim catches you.